We have been on a local beer kick lately, todays offering is from right up the road in Raleigh NC. I actually got this beer a few weeks ago before Christmas based on two factors, 1. The name- Hoppy Ki Yay, reminds me of the great Christmas movie DIE HARD and John McClane and 2. 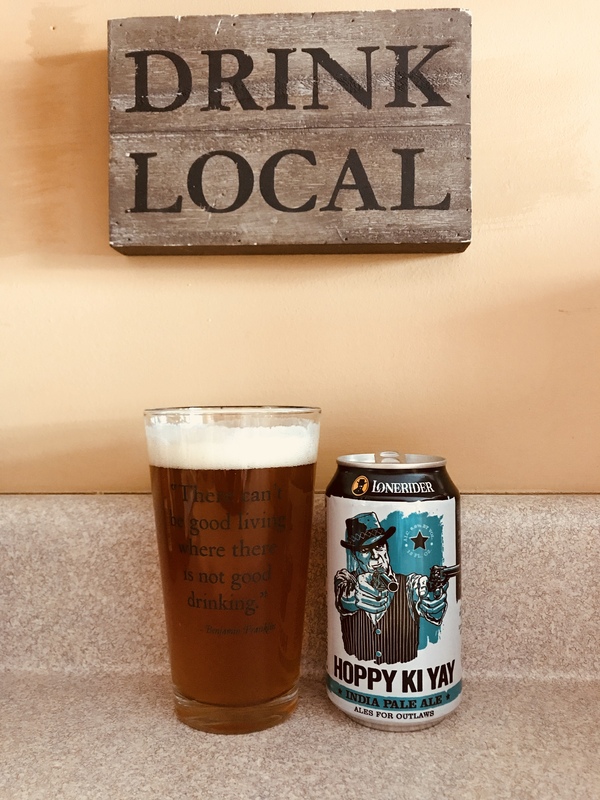 It’s a local N.C. beer. So let’s begin, LoneRider brewing company out of Raleigh delivers on what they promise..a hoppy IPA not really a stretch but what I will say is that even though it’s quite hoppy, it doesn’t linger. It’s subtle after taste is quite good and with a 6.6% alc content this beer is definitely good enough to be labeled for outlaws! Yippee Ki Yay..oops, Hoppy Ki Yay! Enjoy, I will again with this 3.5 star beer.